Mighty Jaxx has released Huck Gee’s second 8” Gold Life vinyl figure, Tapso the Ornery Panda! Formerly a talented sword master, Tapso rose amongst the ranks to become one of the elite bodyguards of his Daimyo. After one tragic event, which resulted in him losing his entire squad, Tapso’s troubled soul got the better of him. He became more well known as a gambler and a drunk. 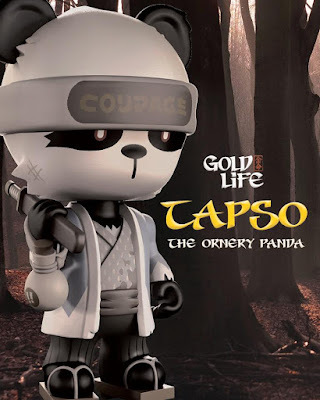 The golden sheen of his eyes found blurred by sake more often than not as Tapso transformed into the “Ornery Panda”. 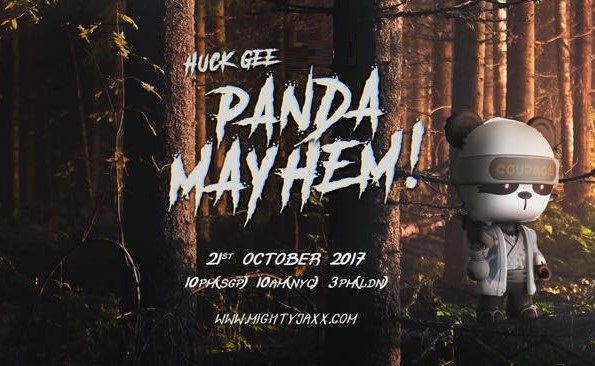 Tapso the Ornery Panda Vinyl Figure by Huck Gee stands 8” tall and is limited to just 200 pieces. Collectors can pre-order this awesome Gold Life vinyl art collectible now at the Mighty Jaxx online store for $149.